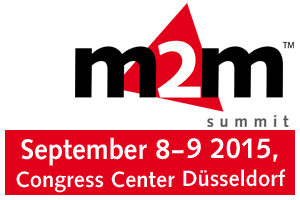 Will we meet each other at M2M Summit? On both days I will be on the Tekmodul stand. Stop by and we can talk about the latest antennas and wireless modules. You will get a chance to talk to the Quectel’s hightly experienced Wireless FAE as well. Moreover our partner for embedded antennas Antenova will also be at the Summit. I will have my mobile vector network analyser with me. Our Antenna Hospital will be open for business to help with free of charge antenna tests on the stand. We also can talk about updates or upgrades to my IoT / M2M Cookbook or review the planned content of my next IoT/ M2M Cookbook. Plus a lot of new useful parts for your IoT / M2M applications.